Did you end up with a credit card bill shock last January because you didn’t budget your Christmas gifts? 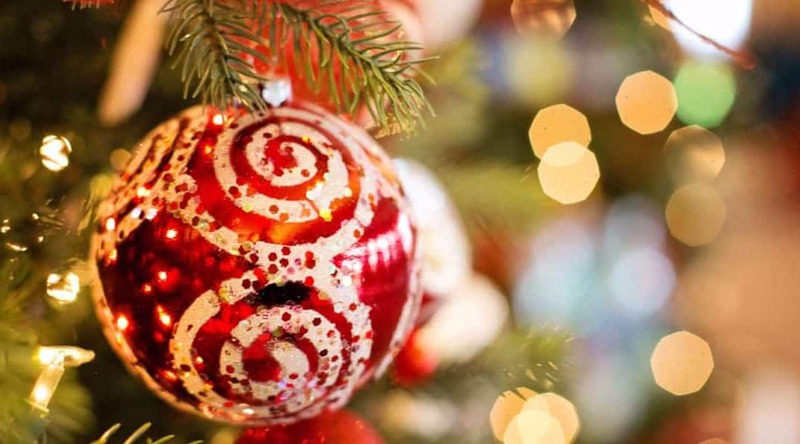 Right now budgeting for Christmas might seem for off, but now is the time of year to start thinking about your budget for Christmas. We don’t want the same surprises as last year, so this year we are going to fix that. Budgeting for Christmas doesn’t need to be as hard as it can feel so here is how to start your Christmas budget. Isn’t it a Little Early For A Christmas Budget? Yes if you are a normal person it is. But the whole point of getting better with your money, is to not be normal like everyone else is with money. As of today there are just under 100 days left until Christmas (in case you didn’t know they have scheduled another Christmas this year…. shocking! I know right!?!). That means sometime in the next 100 days or so we are all going to panic and go crazy about how much we need to do and shop for in the short time. In doing that, we will pay more than we need to. Buy things on impulse. and just be all around foolish in our seasonal shopping (it’s ok we all do it). Plus it turn us into these huge freakin’ balls of stress. NOT THIS YEAR. NOT THIS TIME. WE ARE BETTER THAN THIS! Instead of getting to December, and realizing that you haven’t saved enough for Christmas, this year let’s try something new. Let’s get set up for a successful Christmas. It doesn’t take long to do. 1) How much you spent on Christmas last year. 2) A list of everyone you are shopping for this year. 3) How much you want to spend on Christmas gifts this year. Method 1: How Much Did You Spend on Christmas Last Year? If your Christmas shopping is pretty much the same from year to year, then this is an easy way to go. Go back into Mint or Tiller (my favorite go to for budgetiing) and figure out how much you spent on Christmas. Let’s say you spent $1000 in total on Christmas related shopping and activities last year. Step 2: Take That Amount and Divide it by the Days you Have Left Before Christmas. If you spent $1000 and have roughly 100 days left until Christmas, then you can figure out how much you need to be saving every day to avoid the dreaded January bill shock. Step 3: Automate That Amount into a Separate Account. In our example, you need to be saving $10 a day to make sure you have enough to cover this years festivities (assuming everything stays the same). Set up an automatic transfer to a separate savings account for that amount. We use Wealthsimple’s Smart Saving account (get a $50 bonus for getting started saving with Wealthsimple), it has a high interest rate, no fees, and unlimited transfers to your bank account. Set up a weekly transfer and let it run. This will make your holiday season a little more festive when you know there is money in the bank. If you have made new friends this year and need a little more money go ahead and bump up that number. Going from $10 to $11 a day will put an extra $100 into your savings account. Method 2: Who are you shopping for this Christmas? If you are super organized you may have last years gift list still kicking around. (Hint: if you put it in Excel or Word it’s there for you every year). If not brainstorm everyone you need to buy a gift for for this year. If you are like a lot of families you probably set a limit on how much you want to spend on each person. It’s a good easy conversation to have with those you feel close enough to have this conversation with. Step3: Take That Amount and Divide it by the Days you Have Left. 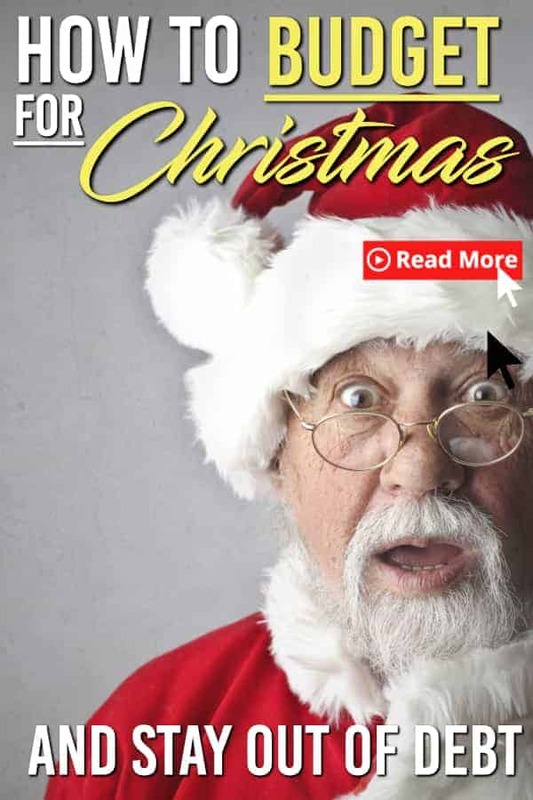 If you spent $1000 and have roughly 100 days left until Christmas then you can figure out how much you need to be saving every day to avoid the dreaded January bill shock. $1000/100 = $10 a day needs to be saved. Step 4: Automate That Amount into a Separate Savings Account. Just like in our last example, you will need to automate your savings for your Christmas budget amount to start transferring money so you have it available when you need it. We use Wealthsimple’s Smart Saving account, it has a high interest rate, no fees, and unlimited transfers to your bank account. Method 3: How Much Do You Want to Spend On Your Christmas Budget? This is probably my favorite one. It’s really easy pick the maximum amount that you want to spend on Christmas this year. For round numbers, let’s say it’s $1000 (again). We like to keep things even among everyone outside of our immediate family. So If the $50 budget we set is too high, we revise it down by $5 or $10 dollars. If there is left over we decide on where to boost it or to just leave it as it is in case we need the money for other things over the holidays. Looking at this budget we have $200 still available to us, we will have to decide what we are doing with this amount or just leave it as is. Just like in our last two examples, you will need to automate your savings for your Christmas budget amount to start transferring money so you have it available when you need it. Budgeting gives you freedom. It doesn’t feel like it first but the more you do it the more relaxed you get about money. Take a few minutes now and get everything set up to help pay your bills in January when they come around. Most of the stress around the holidays comes from not planning things out. This quick little process will save you stress, financial headaches, and may get you started (and finished) your shopping long before you usually start your shopping. I know it’s early but that’s how we work here. Think in advance, plan for it, execute the plan. Now if you’ll excuse me I’m going to set up an automatic transfer for my holiday spending. Like what you read? 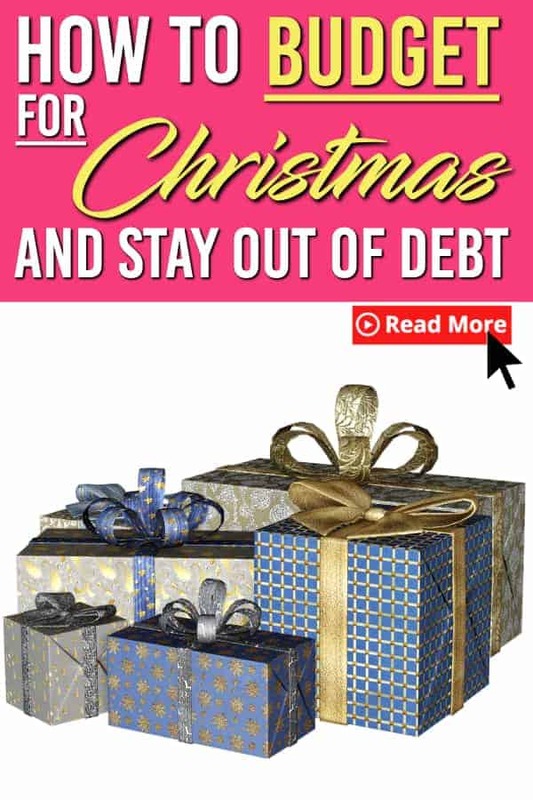 Share it so others can have a debt free Christmas! I’m a scrooge. I don’t buy anything for anyone. I give my parents money in a pretty card and that’s it. I don’t have Christmas shopping in my budget and there is no way to squeeze it in at this stage. When I get children, it will probably change, but for now, no gifts. Hi Danielle! We’ve cut out a lot of people because of a similar reason. We used to do gift swaps and secret saints, then it turned out we getting gift cards for everyone. When everyone is getting a $20 gift card it just makes sense to stop doing it. Of course once kids come into the picture it’s a totally different game. I use YNAB for my monthly budget and I have a category for Christmas that I try to add $25-$50 each month in order to have my savings ready for Christmas. It makes the holidays so much less stressful!! I hear you Josh, it’s totally worth planning ahead. A little planning and automation goes a long way. My Christmas spending between gifts, and hosting dinners, parties etc is consistently around $1500. I have kids, nephews, etc. I have done this for the past 5 years and the stress relief is awesome. Hi Melanie! That is great that you are set up to roll for Christmas. We also save year round for Christmas and birthday gifts. It’s way easier than scrambling for $1500 in December. You are absolutely right the stress relief is totally worth the planning.